Find the peace of country you’ve always wanted in Lucketts. About 15 minutes north of Leesburg lies the quiet town of Lucketts, Virginia. 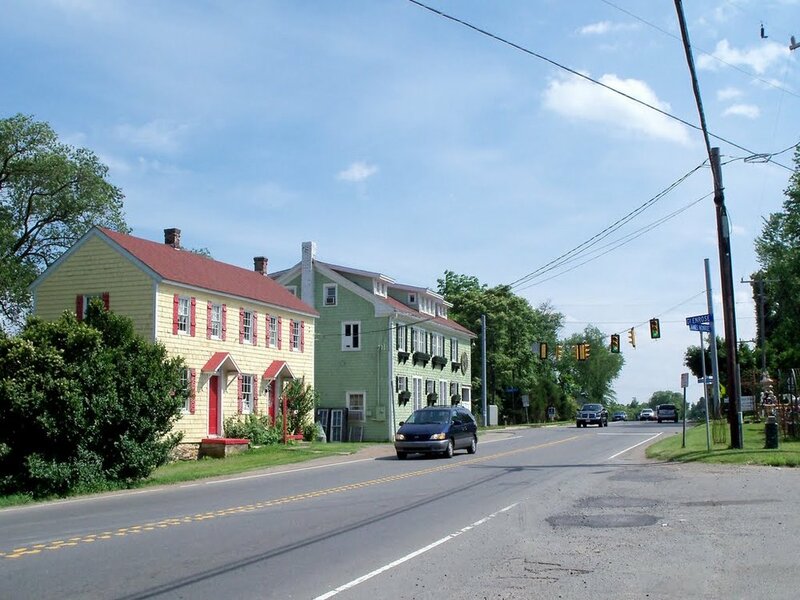 A historic hamlet nestled near the Maryland border, Lucketts only needs one stoplight to tell you to slow down and enjoy the moment. Home to local farming, antiques, wineries, and some of the luckiest homeowners, Lucketts reveals more of its rural charm with every season, which is why so many people never want to leave. Minutes from the bustle of Leesburg and the international runways of Dulles, Lucketts balances busy with the literal hum of bees, providing its visitors and residents a welcome and natural unwinding–and the occasional jar of local honey. One of my favorite things about Lucketts, other than the fact that my family called it home for some of my favorite years, is that it is as unassuming as it is delightfully surprising. What appears as a sleepy Virginia town nestled against the banks of the Potomac is actually brimming with eclectic shops, wineries, artisans, and some of the most delicious menus I’ve had the pleasure to sample. While there are a few new home developments taking advantage of the sweeping views of Sugarloaf Mountain and the riverfront, most real estate in Lucketts has a deep, honorable, and beautiful history; if the walls of these homes could talk, they would probably sing. Sunshine or snowfall, the true spirit of Lucketts is in its relationships, both among its people and with the land around it. This, after all, is farm country, and there is a level of anticipation that surrounds every seasonal changing of the guard. Residents always look forward to something both new and comforting, be it the rotating designscape around Old Lucketts Store, the local produce from the Brossman’s Farm Stand, or the warm fullness that accompanies a visit to Roots 657 Cafe & Local Market. Winter in Lucketts may cool its temperatures, but not its welcome. Holidays bring special meaning to this small town, which celebrates the sparkle of the season whether snowflakes arrive on time or not. Christmas music is played on loudspeakers. Cheer is on the menu. And the Lucketts Volunteer Fire Department give the reindeer a night off while they bring Santa to the homes of Luckett’s children for a personal visit. If it feels a little magical, it’s because it is; Lucketts is an enduring reminder of what good can come of a community that believes in itself. Lucketts was originally known as Black Swamp, named for the number of rare Black Oak trees that huddled between it and the Potomac. As an unincorporated town, it doesn’t have an “official” census population, although it contributes to the almost 50,000 people who live in nearby Leesburg, Virginia, which is 7 miles away. The Lucketts School, built in 1913, was one of the first multi-room schools in Loudoun County, and it sits atop the National Register of Historic Places. Barnhouse Brewery, just two sips east of Lucketts, is a worthy stop on the Loco Ale Trail, the scenic route around the craft breweries sprinkled all around Loudoun County. Local farms are another worthy visit–Loudounberry Farm & Garden, Temple Hall Farm, Eagle’s View Farm, to name a few–and all give you an opportunity to roll up your sleeves and get a taste for the good life, quite literally. Commutes to D.C. average about an hour in light to moderate traffic conditions via the Dulles Toll Road (267) for $2.50 each way. Dulles International Airport is about 30 minutes, door-to-door, making Lucketts a prime respite for air-weary travelers. Lucketts belongs to the award-winning Loudoun County Public School System. Lucketts Elementary serves 250 K-5 students each year and is further supported by Smart’s Mill Middle School and Tuscarora High School. Each year, the PTA proudly carries on the tradition of hand-churning homemade ice cream as one of its largest fundraisers. 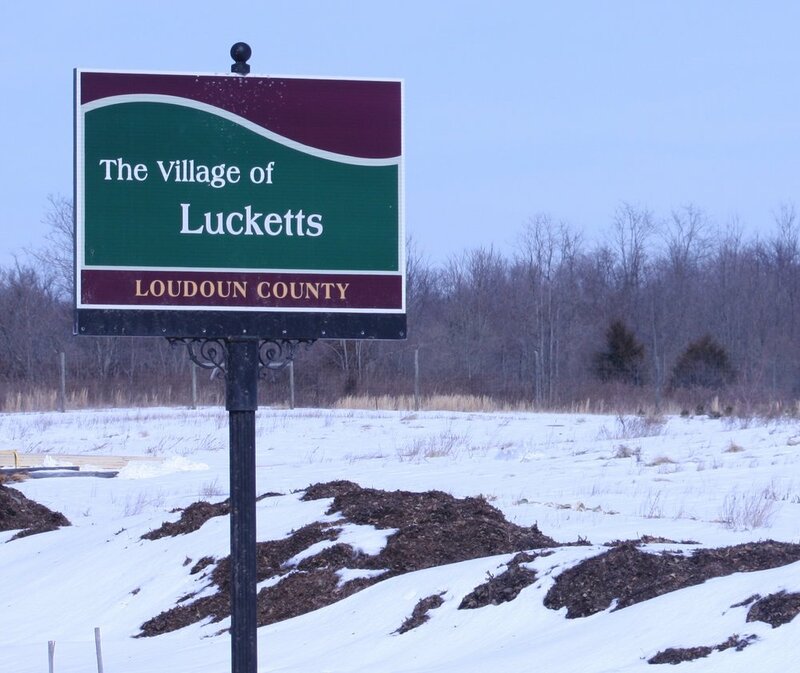 Lucketts is served by Leesburg’s Police Department, Volunteer Fire Company, Volunteer Rescue Squad, both of which have partial staffing from the Loudoun County Department of Fire, Rescue and Emergency Management. In the spirit of community, Luckett’s also has its own Ruritan Club that reaches out to people in need and partners with the Lucketts Elementary PTA to give back not only to the school, but the broader Lucketts community. Loudoun County, Loudoun County Public Schools, Federal Aviation Administration, K2M, Target, Wegmans. On top of all the Leesburg, Virginia events happening all year long, Lucketts has a story of its own that it tells throughout the year; residents and visitors alike can explore its plot twists at their own pace and as the mood strikes. Saturdays mean a lot of things to the busy folks who own houses in Loudoun County, but to those in Lucketts, Saturdays mean bluegrass music. From October through April, fans of the fiddle gather at The Old Schoolhouse to hear regional and national bluegrass bands and create a whole string of memories set to music. One of the few Loudoun wineries to feature a tasting menu of small bites with their wine tasting, Fabbioli Cellars is a small, family-owned-and-operated vineyard and winery nestled between Leesburg and Lucketts. By rotating a new menu to coincide with seasonal offerings and award-winning red wines, this earth-friendly vineyard offers one of the most unique experiences in the state. What do you get when you stir together a New York chef, a sustainable agriculturalist, and a 26-acre working farm? A delicious stroke of genius. At Faith Like a Mustard Seed Farms, Patricia and Carl Glaeser do more than just sell delicious food (most of which are grown and raised within feet of the farmhouse); they also cater, teach cooking classes, host weddings, events, and more on their iconic Lucketts acreage. Definitely worth a visit–and a cup of their Kona coffee. Hiking trails twist with history at White’s Ford Regional Park, 295 acres along the Potomac River. While exploring the land on foot is certainly an option, most visitors use the park as a kayak and canoe launch to explore the area’s breathtaking views and river islands from the water.